Edinburgh Pest Control Services are here to help. Edinburgh Pest Control services have a technicians that works in your area 6 days a week. This means we can be with you really quickly and keep our prices extremely competitive. The same trained pest control Edinburgh technician will see your pest control problem through from start to finish. Our technicians are uniformed for your safety and security. With Edinburgh Pest Control Services you are totally protected. 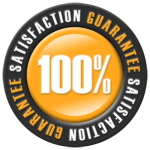 Everything our experienced and friendly pest control Edinburgh technician does for you is insured and guaranteed. Whether it’s your house, garden, office, warehouse, hotel, farm, sports ground or school that’s being affected, your pest problems in Edinburgh are in safe hands with us. Pest Control Edinburgh always make sure that our work is child and pet friendly. With our years of experience, we know how it feels when you discover you’ve got pest problems, so we’ll be more than happy to come and see what the best solution to yours would be. We really can help and you can relax, because when you call us we’ll give you with absolutely no obligation our best advice on how to eradicate your pest problems quickly and safely. 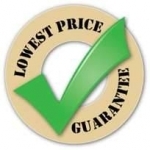 As soon as you’re happy that we’ve got the answer to your problem we’ll give you a fixed price so you’ll know exactly how much it will cost, before you decide whether to ask us to get on with making your pest problems disappear for good. Edinburgh Pest Control Services deal with Wasp Nest Removal Edinburgh, Rat, Mice, Grey Squirrels, Mink, Mouse, Feral Pigeon Removal, Rabbits, Deer Management, Insects, Flies, Moth, Ants, Fleas, Cockroaches, Bed Bugs, Moles, Bird Control, Wasp Control Edinburgh, Bird Proofing, Bird Spiking, Farm and Commercial Pest Control Contracts. Edinburgh Pest Control Services cover Fife, Edinburgh and surrounding areas including West & East Fife and West Lothian. Our professional and qualified pest controller technicians have the RSPH/BPCA (Level 2) Award in Pest Management. We are a member of Fife Pest Control Services. Copyright 2012 - 2019 Fife Pest Control Services Ltd | All Rights Reserved | All Contents, Logos, Pictures and Blogs are the property of Fife Pest Control Services Ltd - This site is hosted and powered by Fife Pest Control Services.